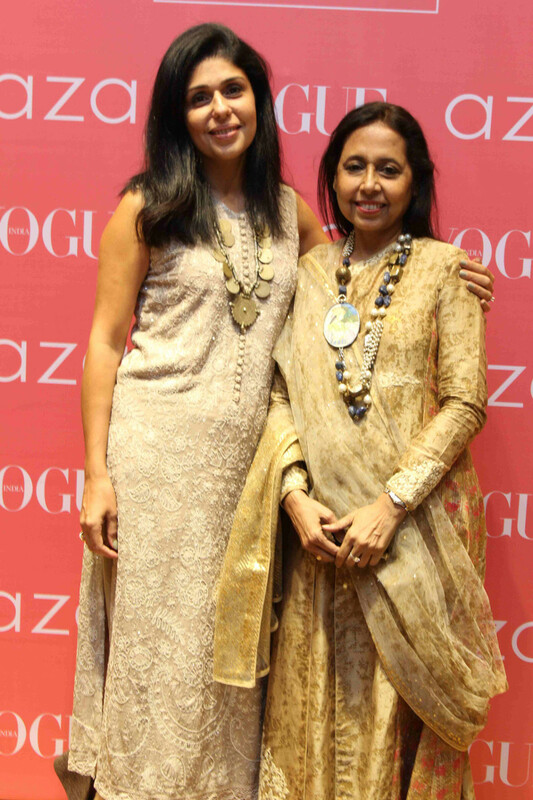 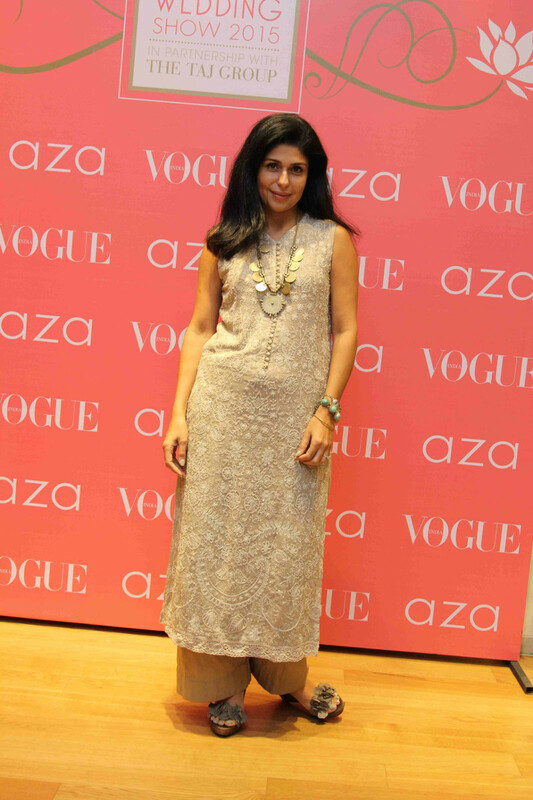 Mumbai, 24th June 2015: Following the success of its international edition in Dubai last month, Vogue Bridal Studio 2015 debuted in India, with its Mumbai edition at the multi-designer AZA store in Bandra, hosted by AZA Founder & Director -Alka Nishar along with Vogue India Fashion Director -Anaita Shroff Adajania, renowned designer Anju Modi, Condé Nast India Marketing Director- Oona Dhabhar. 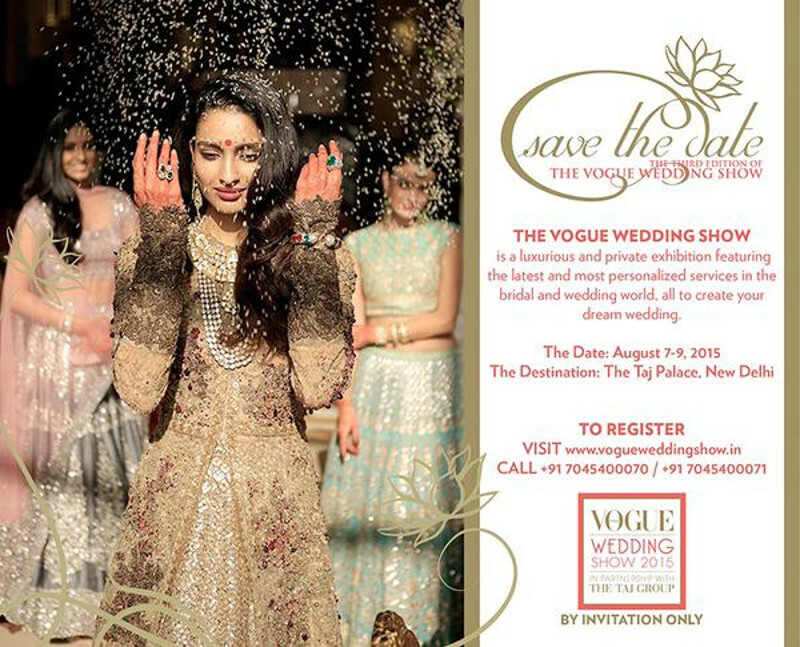 This exclusive event is a prelude to the Vogue Wedding Show 2015, a specially-curated exhibition featuring the most luxurious and personalized wedding services, scheduled to take place at The Taj Palace, New Delhi, from 7th to 9th August 2015. 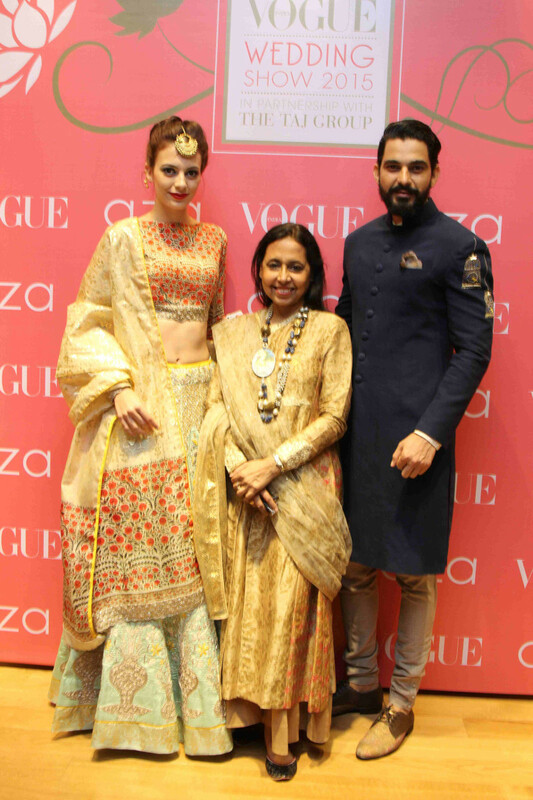 In addition to Anju Modi, designers Anita Dongre, JADE, Manish Malhotra, Monisha Jaising, Sabyasachi, Pakistani designer Sania Maskatiya, Shantanu & Nikhil, Tarun Tahiliani, Varun Bahl and Vineet Bahl will also be seen participating at the Vogue Wedding Show this year. 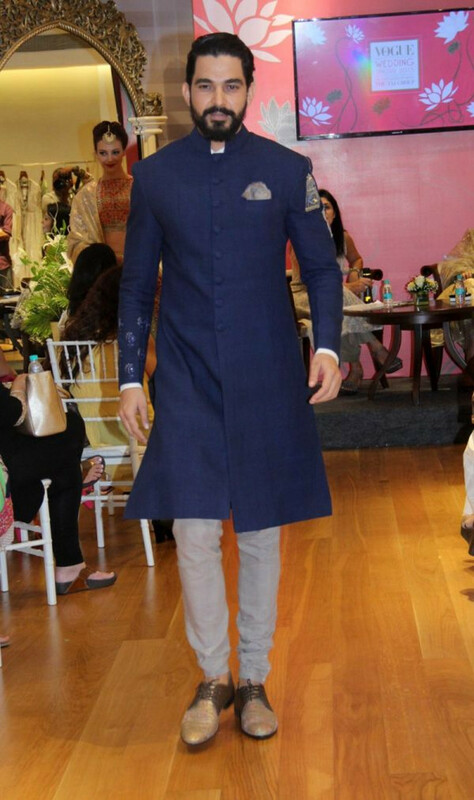 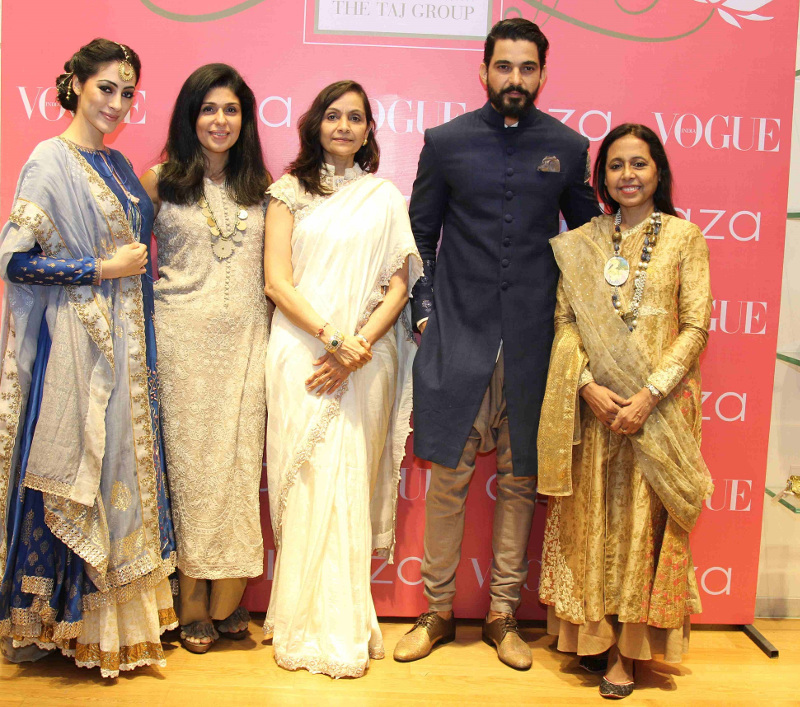 The session was held over a delightful high tea where Anju Modi showcased four exclusive looks from her latest wedding collection in an interactive session with Anaita Shroff Adajania. 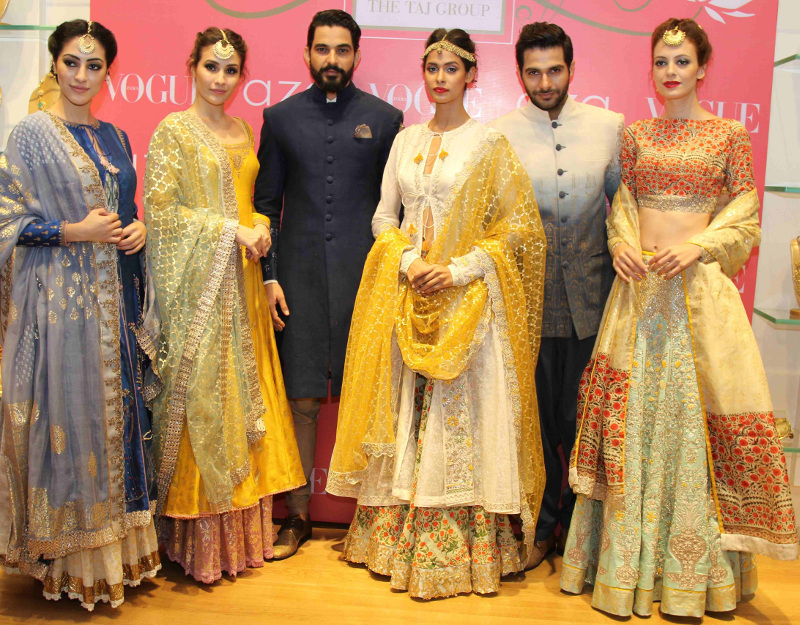 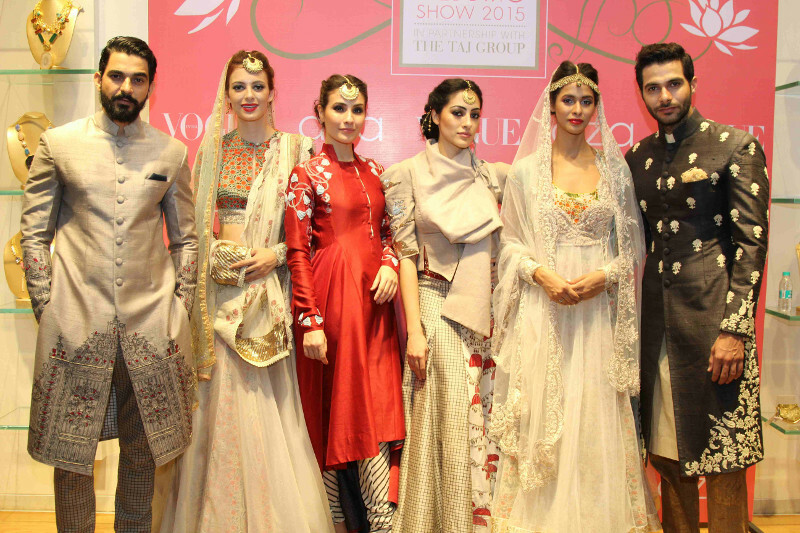 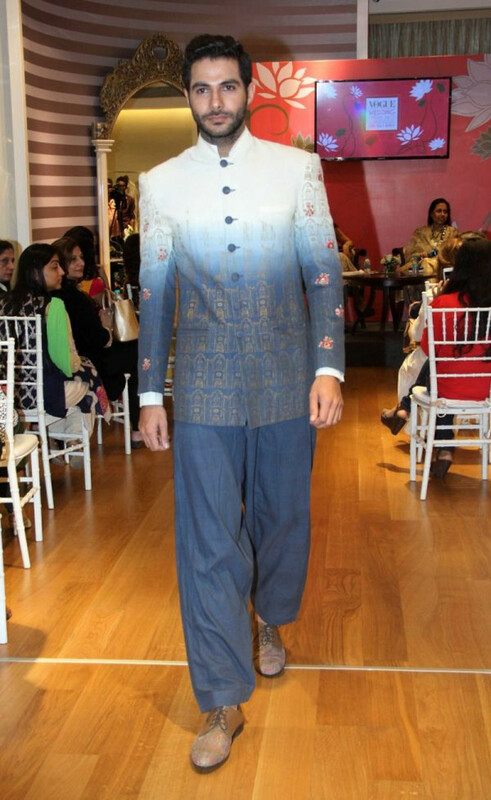 The bridal wear displayed at the event, was an exclusive preview to Modi’s wedding couture collection for the Vogue Wedding Show in August. 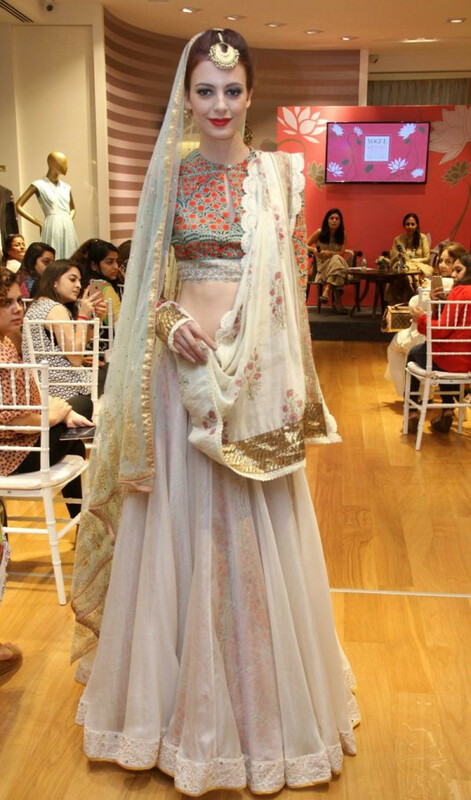 The audience was also taken through the upcoming design trends for the bridal season along with some contemporary style tips for brides and grooms. 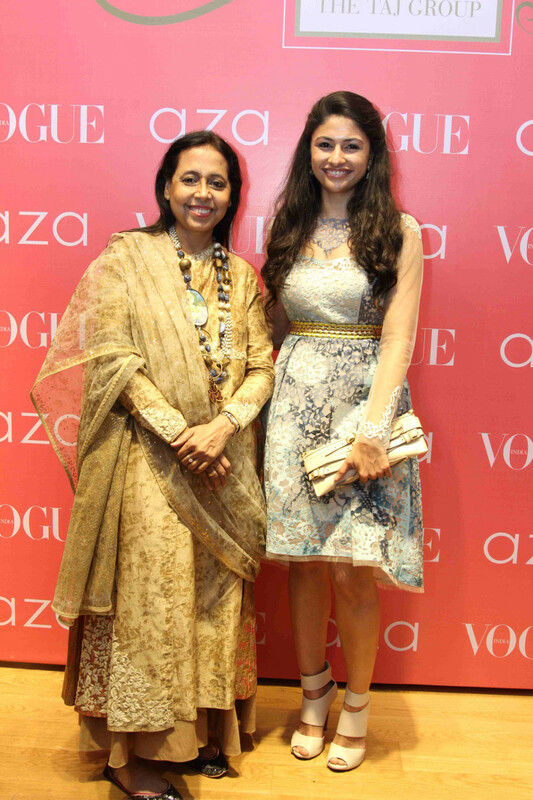 Added Dr. Alka Nishar, Founder and Director, AZA,”AZA has worked with veteran designer Anju Modi for several seasons and we are delighted to have the preview of her exquisitely crafted collection here, today, at Vogue Bridal Studio which will be launched at the Vogue Wedding Show 2015 taking place from 7-9 August in New Delhi. 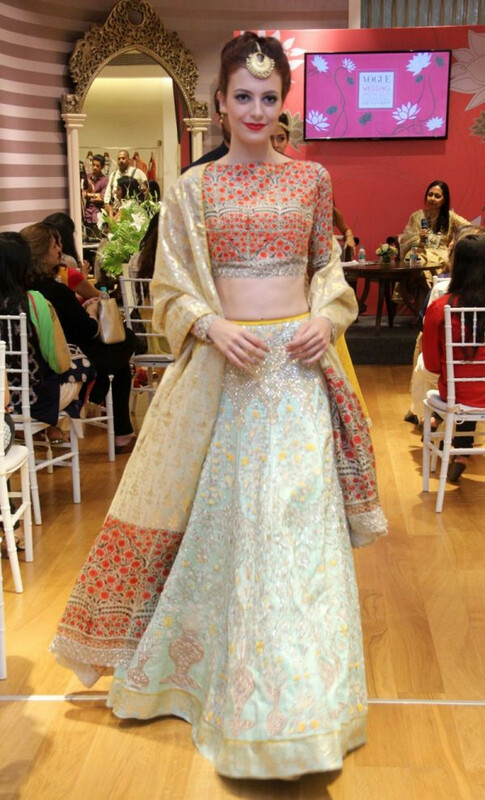 The collection is passionate and fierce; inspired from the mystical, ancient civilization of Persia; her creations are quintessential for the new age bride and her entourage."